Anyone who reads Genesis 6 will ask themselves the question, “Who are these ‘sons of God’?” Most English translations of the Bible simply translate the Hebrew as “sons of God,” but some translations add to the confusion by not only translating the Hebrew, but also interpreting the Hebrew in their translations. Consider the following translations of Genesis 6:1-4. 1 When man began to multiply on the face of the land and daughters were born to them, 2 the sons of God saw that the daughters of man were attractive. And they took as their wives any they chose. 3 Then the LORD said, “My Spirit shall not abide in man forever, for he is flesh: his days shall be 120 years.” 4 The Nephilim were on the earth in those days, and also afterward, when the sons of God came in to the daughters of man and they bore children to them. These were the mighty men who were of old, the men of renown. 1-2 More and more people were born, until finally they spread all over the earth. Some of their daughters were so beautiful that supernatural beings came down and married the ones they wanted. 3 Then the Lord said, “I won’t let my life-giving breath remain in anyone forever. No one will live for more than one hundred twenty years.” 4 The children of the supernatural beings who had married these women became famous heroes and warriors. They were called Nephilim and lived on the earth at that time and even later. A close look at these two translations lets the reader immediately see the issue. Are the “sons of God” (ESV) really “supernatural beings” (CEV)? So who are these “sons of God”? According to John Sailhamer, who is a recognized expert on the Pentateuch (the first five books of the Old Testament, which includes Genesis), the “sons of God” have been understood three different ways historically. First, the “sons of God” could be angels. This view is not widely held since it appears to contradict Jesus’ own words that angels do not marry (see Matthew 22:30). Second, the sons of God” could be royalty. Or, third, the “sons of God” could be pious men from the line of Seth. All such interpretations, however, originate from the assumption that vv. 1-4 are an introduction to the account of the Flood and are therefore to be understood as the cause of the Flood. If, on the other hand, we read vv. 1-4 as the summary of chapter 5, there is little to arouse our suspicion that the events recounted are anything out of the ordinary. As a summary of the preceding chapter, this little narrative is a reminder that the sons and daughters of Adam had greatly increased in number, had married, and had continued to have children. The impression it gives is that of an interlude, a calm before the storm. So, these “sons of God” are not “supernatural beings.” They are the extraordinary men (i.e., the men of renown) who lived from the time of Adam until the time of the Flood. 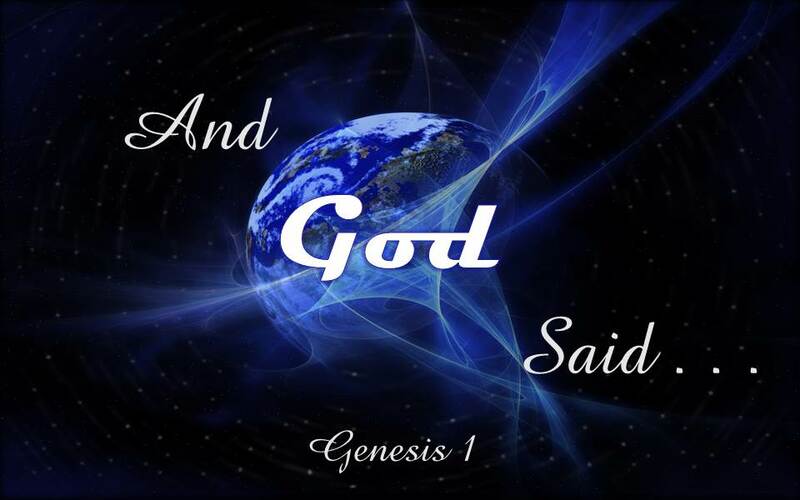 What does Genesis 1 tell us about creation? When we think about how the universe came into being, Francis Schaeffer, in Genesis in Space and Time, argued that there are basically four options. Once there was absolutely nothing, and now there is something. Everything began with an impersonal something. Everything began with a personal something. There is and always has been something. 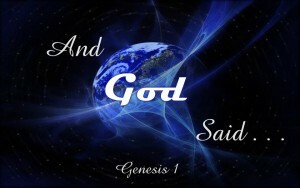 Genesis 1 gives us a great deal of information about creation. For the purposes of this post, we will define creation as follows. God created the entire universe out of nothing; it was originally very good; and he created it to glorify himself. What is the relationship between Scripture and the findings of modern science? Many people (both Christians and non-Christians) argue that modern science and Scripture cannot be reconciled with one another, but, as Schaeffer wrote, there is no final conflict between modern scientific findings and Scripture. All truth is ultimately God’s truth so when Scripture and science are properly understood, there will be no final conflict. Many Christians disagree about the age of the earth, but in our disagreements, we must be careful not to adopt a theory of origin that would be incompatible with a high view of Scripture. For example, theories such as the “Big Bang,” Darwinian Evolution, and even Theistic Evolution must be rejected by those who hold a high view of Scripture. So, what then are some theories of origin that still allow for a high view of Scripture? Here are two theories of origin that account for an “old earth.” The purpose of this blog is not to “expose” the strengths or weaknesses of any of these theories. There are other resources that do this quite well. First, we have the “Gap” Theory. No, I’m not talking about the clothing store from the 1980s! In its most basic form, the gap theory suggests that there is lengthy (think billions of years) gap of time between Genesis 1:1 and Genesis 1:2 (or between Genesis 1:2 and 1:3). This lengthy period of time would account for the ancient fossil record and the carbon-dating of the world. According to this theory, this would also allow for the time when Satan and his angels rebelled against God and were cast out of heaven. During this “gap,” Satan and his angels rebelled against God and were cast out of heaven. During this period the earth underwent great cataclysm and was left “formless and void” (Genesis 1:2). God then re-created and reconstituted the earth in six literal days that are described in the rest of Genesis 1. Second, there is the day-age theory. According the day-age theory, again in its most basic form, the “days” mentioned in Genesis 1 are not six 24-hour days but rather each of these “days” represent a lengthy period of time (think millions or billions of years). During each phase of creation God created what Genesis 1 said was being created on that day. Here are two theories that account for a “young earth.” Again, the purpose here is not to highlight the strengths and weakness of each of these theories. First, some people argue that God created everything with with the appearance of age. For example, God created Adam and Eve as fully grown adults. This theory is sometimes called Mature Creationism. So, according the this theory, the apparent age of the earth is just that — it’s only an “appearance.” Those holding this theory would say that God created the fossils as fossils to give the appearance of age. Second, there is the Flood Geology Theory. This theory would argue that the flood described in Genesis 6-8 would have been so cataclysmic that it would be impossible to use many of our modern dating processes to get an accurate picture of how old the earth is. For example, the age of some fossils is determined by the layer of rock in which they are found. Flood Geology Theory would say that the various layers of rock are unreliable because the flood would have disrupted the various layers. First, there is the Literary Framework Theory. 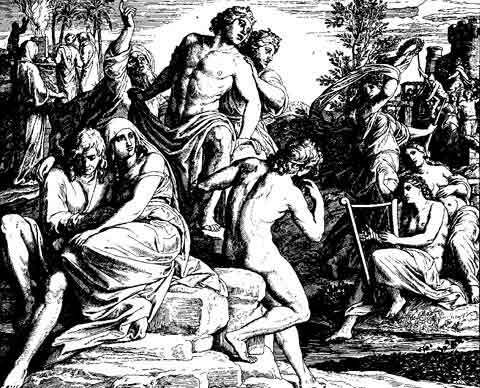 This theory would argue that the purpose of Genesis 1 was not to describe God’s process of creation, but rather, Genesis 1 actually has a literary framework. Days 1, 2, and 3 are the “form” of creation, and days 4, 5, and 6 are the “filling” of creation. For example, day one of creation corresponds to day four of creation since day one separates the day and night and on day four the sun and moon are set to govern the day and night. Day two corresponds to day five. On day two God separates the sky and the sea and on day five God creates sky animals and sea animals. And day three and day six correspond to one another. On day three God separates the land and sea, and on day six God creates the land animals and human beings. Second, there is the Historic Creationism (Preformative) Theory. According to this theory, Genesis 1:1-2 is about God creating the entire universe, and then Genesis 1:3-2:4 is about God preparing the “land” for human habitation and flourishing. This view is propounded by John Sailhamer in his book, Genesis Unbound. These are a few of the various viewpoints about the creation of the universe. I hope this brief overview has been helpful. I hope you are already enjoying your start to 2015 as we read through the Scriptures together. Some of you have already come up to me to ask me insightful questions about the stories you’ve been reading. One church member suggested that I write up the answers to the various questions from our reading. This blog is designed to do just that. I will be blogging answers to your questions from our Bible reading. What does it mean to read the Bible “chronologically”? So you’ve decided to read through the Bible in a “chronological” fashion. What in the world does that mean? Well, there are at least two ways in which we can think chronologically about the Bible. First, we can think about the chronological order in which the texts of the Bible were written. For example, it is widely understood that the books of 1 & 2 Chronicles were written toward the end of the Old Testament period even though these books describe events that occurred many years earlier. So, these two books provide a type of commentary about how we should think about these events. NOTE: For a technical and detailed discussion about the difference between “text” and “event” you can read the Introduction to John Sailhamer’s book, The Pentatuech as Narrative. A second way in which a person may read through the Bible in a chronological fashion is to read the Bible in the order that the events themselves took place. So, for example, while reading through the books of 1 & 2 Kings, the reader would also read many Psalms that were written during this period of history. As a church this year (2015), Potomac Heights Baptist Church (PHBC) is reading through the Bible in the latter chronological fashion. Are all chronological reading plans the same? There are many ancient records that help us determine the order of the ancient events from the Bible. There are, of course, the records from the Bible itself, but we also have access to many different ancient histories that were written by ancient secular historians. With the use of these different sources, it is a fairly straightforward task to determine the actual chronological order of the events of the Bible. There are, however, some areas in which we do not have accurate records with respect to timeline. 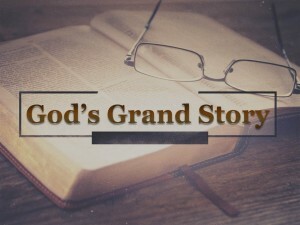 For example, some people date the book of Job prior to the lifetime of Abram (Abraham) so in some chronological reading plans, the book of Job is read after Genesis 11 and before Genesis 12. Other plans place the book of Job at a different place. PHBC is using the plan that places Job before the lifetime of Abram (Abraham). Make sure to slow down a bit and enjoy the reading. This is not a race to see who will finish first. Let’s enjoy this ride together.